The question of security for the UK is inextricably linked to that of Sovereignty, clearly understood in jurisprudence as the full right and power of a governing body to govern itself without any interference from outside sources or bodies. As a Sovereign nation, before the folly of EU membership, the UK had for centuries economically flourished and in its own security slept sound. It adapted to economic changes, leading the world in financial markets, insurance and professional services; at the same time maintaining a leading role in not only protecting its own national security but demonstrating excellence and leadership volunteering its competence to support and partner with many other nations in need. The EU has done little to contribute to the UK’s achievements, in most cases it has coveted and eroded them deriving benefit at the member countries expense, a pattern of behaviour any doctor would recognise as parasitic. If there was to be a final nail in the coffin of the argument that the UK is safer in the Europe Union (EU) than out it may well be the atrocities in Brussels (March 2016), hot on the heels of the Paris bombings. The EU’s attempts to put a lid on these terrorist actions has been woefully incompetent, demonstrating there is clearly no benefits in the ‘EU Club’ from a security perspective. In fact, the argument for security in EU membership is revealing in the way it turns on itself with member countries struggling with the free flow of humanity from war Syria and other parts of Africa and indecision in the face of the collective confusion. The latest sleight of hand from the EU unelected bureaucracy being the backroom multi Billion Euro deal done with Turkey (bribe in all but words) to retain migrants instead of allowing them into the Schengen Area. Instead of reducing the flood of humanity as the deal is lauded to have done, it has in fact simply swapped one source of humanity for another, as Schengen member countries can now look forward to 77million Turkish passport holders entering the Schengen area since the removal of visa controls. This is not suggesting all 77m Turks will up sticks and move wholesale into the Schengen area, but a proportional flood of souls similar to that experienced with other Easter European nations following border relaxation can almost be guaranteed. For the UK alone in 2014, inflows of EU nationals migrating to the UK stood at 268,000, up from 201,000 in 2013. Half of all EU nationals coming to the UK for 12 months or more in 2014 were nationals of countries that joined the EU in 2004 or later. (The Migration Observatory). As the UK is not a member of the Schengen area imagine what the numbers must be for those who are and then reflect on the new Turkish source just opened up. The facts remain and continue to be reinforced, EU membership is not a safer place for the UK. I will not repeat the qualifications covered in a previous missive ‘The EU is the UK’s Greatest Risk for Generations to come’, please review that separately. 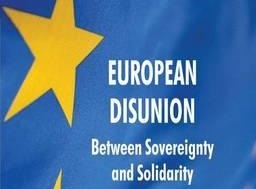 What needs to be made clear is this is not a surficial issue with the EU, it is a systemic problem that goes back to the founding fathers not so hidden agenda and an understanding of that agenda, its deceptions on the issue of national sovereignty and the right for individual countries to control their own destiny. This is a fundamental breach of trust and one that will likely never be rebuilt when reflecting on the duplicitous nature of the deceit. Instead of continuing in blind faith with the current compromise to a collective that shows signs more familiar to a transplant organ rejection than a natural harmony the UK has an opportunity to return to take control of its own destiny. Any risk in doing so fades into irrelevance when balanced on the scales of the breach of trust with the EU and risk that that implies in any future EU dialogue. The EU’s preferred economic benefit arguments and dialogue for its existence is being overshadowed by the migrant crisis stealing the direction of influence, and like a hypnotised patient the UK is waking up and realising the truth of the condition the EU has lulled it into. The UK has not been helped by some of its own politicians, who instead of protecting its sovereign interest looked to their own legacies and loyalty to a EU political class first. Tony Blair and David Cameron, both of whom have demonstrated a sycophantic relationship with the EU have contributed as leading voices in the slow erosion of the UK national defence forces and decision making, bullying fellow UK politicians into compliance along the way. The truth is the EU totally rejects the idea of sovereign member nations. This goes back to the founding fathers of the European ‘project’ and is consistent with the language used in the EU’s principle Treaty on European Union referred to as ‘The Maastricht Treaty’. ‘Europe’s nations should be guided towards the super-state without their people understanding what is happening. Thank your personal belief system deity of choice for the impatience of recent generations of politicians who hoisted on their own petard have let their mask slip. Their impatience to get the EU across the ‘irreversible’ red line of no return for its members could be its downfall. Too much too soon forcing square pegs into round holes, the EU founding fathers who demonstrated such patience in its early years will be turning in their graves as the plan to accomplish their goals in successive steps unravels. Each step was to be disguised as having an economic purpose, culminating inevitably and irreversibly in federation. After Europe’s coal and steel production were pooled, Europe’s atomic programmes were to be co-ordinated, followed by the Common Agricultural Policy and the Common Market, and then came the single currency, and so on. Instead of this patiently controlled and nurtured disguised progress, the EU is in chaos. The EU economy is in freefall, Greece has since joining the EU and Euro achieved the ignominy of the second largest debt burden in the world and a bailout total of EURO 545 BILLION that has been consumed by the weaker EU nations with no hope of it being recovered to any significant degree. The EU has achieved levels of debt and economic instability across its Eurozone which are unsustainable, and national security chaos that is unravelling the whole sorry EU experiment. If anyone in the UK questions the relevance of Sovereignty in a modern world, then just point them to the most embarrassing walk and talk any UK politician has ever been resigned to. As David Cameron, cap in hand, had to go to Brussels to get permission from the EU to allow “flexibility” in the VAT rates applied to different female sanitary products. How low has the UK Prime Minister sunk when he cannot, without the EUs permission, manage the tax on such a basic life essential for his own people. This resonates the truth of the UK predicament when it comes to more serious issues such as national security. The final sadness in this tale is the platitudes of George Osborn and David Cameron in their attempts to sell the ‘Tampon Tax Affair’, as it has become known, as an example of the benefits and influence of being at the EU ‘top table’. What they don’t realise is that to anyone exercising independence of thought this raises the obvious question as to why we would want to sit at such a table in the first place.